These are the results of the Paranormal Games held at ASSAP's Seriously Strange conference 7-8 September 2013 in Bath. Game 1. Zener Cards top scorer: Loretta Nikolic (11) (For anyone who had more than one go, the average score was taken). Game 4: Blue star is where target was hidden. The red dots mark where the answers given had it. 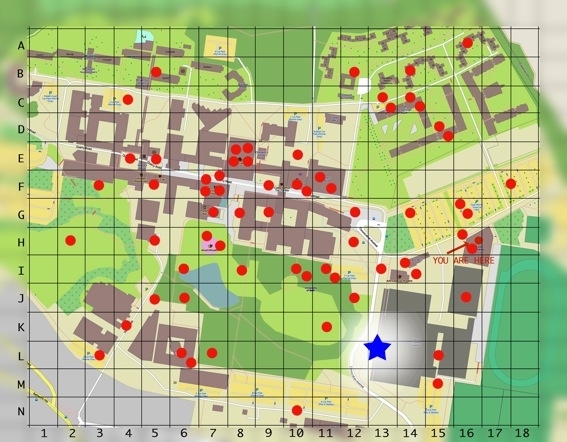 Note how the answers tend to avoid the edges of the map and cluster mainly around the (brown and grey) buildings rather than the (green) parkland. 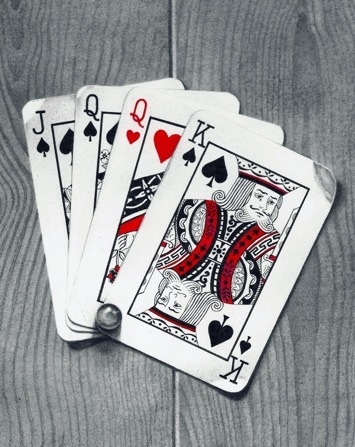 Game 5: The target, the Queen of Hearts, is the only card shown face up. The red dots mark where the answers given had it. 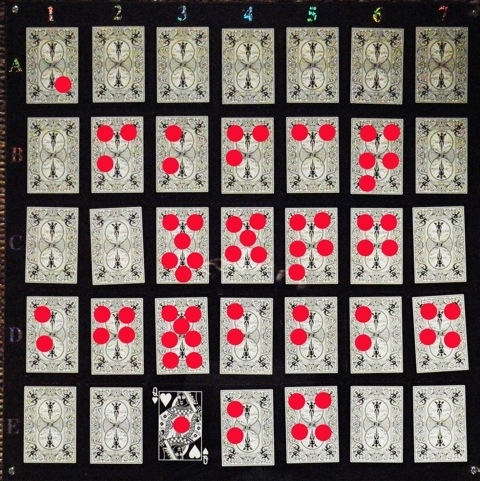 Note how the other answers tend to cluster in the centre of the grid of cards and generally avoid the edges.